The book takes place in the realm (country) of Dashevona. 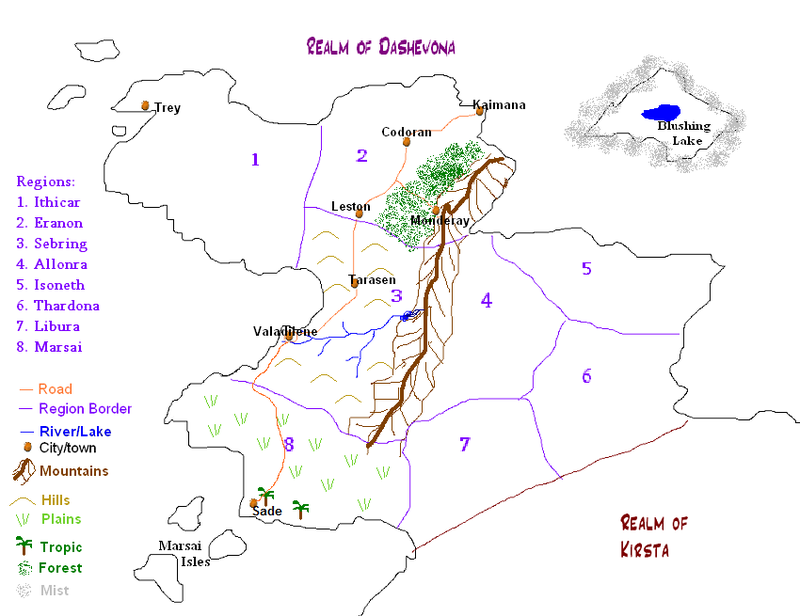 The realm is split into eight regions. The entire realm is a giant peninsula. Each realm borders ocean, some moreso than others. Valadilene: (valad - enchanted; ilene - city) The hub and capital city of Dashevona.